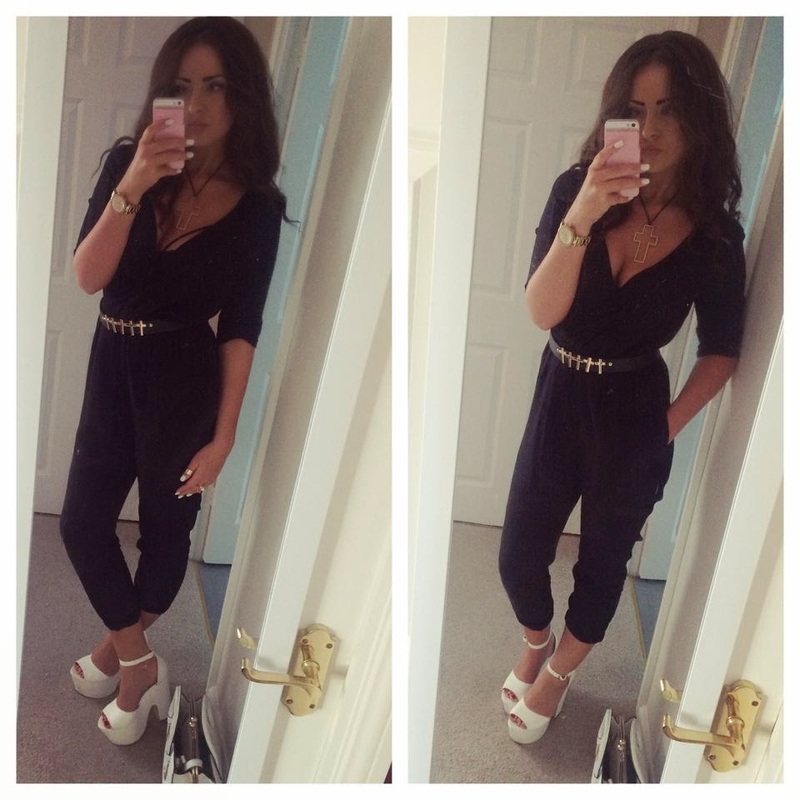 Grease Lightning Jumpsuit | Your Daily Dose of Style. I'm not much of a jumpsuit wearer as I think they make you look a little frumpy and aren't very figure flattering. But after trying this jumpsuit on in New Look, I think i'm changing my mind. I now need to update my wardrobe for Autumn with some jumpsuits, seen as though playsuits aren't very good in the cold British weather, even if it still is august! Too ensure I didn't look 'frumpy' I decided to pull the fabric in around my waist using my Urban Outfitters cross belt which I absolutely love and got for Christmas. To keep the outfit consistent and match my cross belt, I wore a gold and black cross necklace from New Look which was a bargain price of £2.99. I have a weird pet hate when people wear gold and silver together, not sure why I just never do it. So all my jewellery in this outfit is gold. I wore my Primark rings on my right hand including a gold band mid-ring & my Michael Kors gold watch on my left arm. 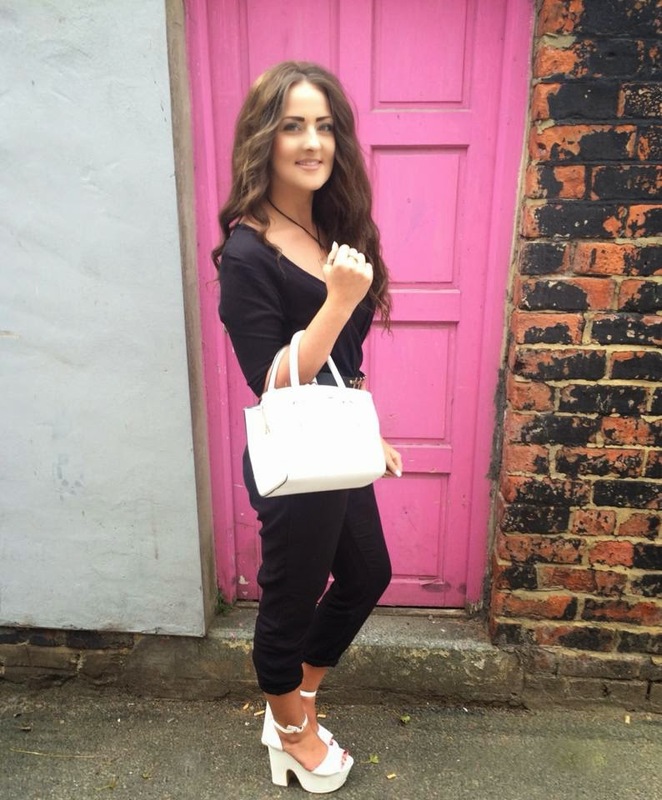 I also wore my River Island White which matches perfectly with my white Missguided heels. You'll have probably notice I've wore these with heels a lot in my blog posts recently, even though I've got a full shoe rail of heels I've hardly worn, sorry for boring you in the shoe department but I'm in love with them and cannot take them off!